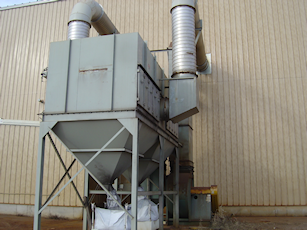 Blast Cleaning Technologies offers a complete line of fabric filtration dust collectors providing high quality high dust collection efficiency and compact designs. We offer the most common systems utilized for the control of airborne contaminants and can suit virtually any customer requirement as it relates to Wheel Blast or Air Blast Equipment. By working closely with our customers, we have helped to solve many problems as it relates to controlling emissions for the iron and steel and nonferrous industries. We offer a variety of designs and in processes ranging from 500 to 1,000 CFM.